The Ramon Makhtesh in the southern desert of our mystery country is also known as the Ramon Crater and the Grand Canyon of _____. A makhtesh is a geological formation characterized by a deep impression and steep walls created by erosion, rather than by the impact of a celestial body or a volcanic eruption like true craters. 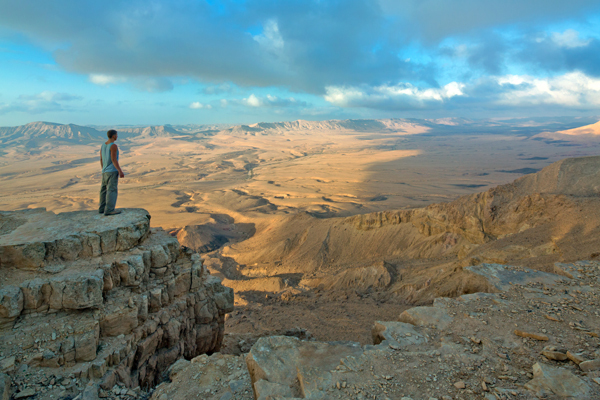 This type of crater is found only in the Negev Desert in and the Sinai Peninsula. The Ramon Makhtesh is the largest one, at 25 miles long and 5 miles across at its widest point and over 1600 feet deep. 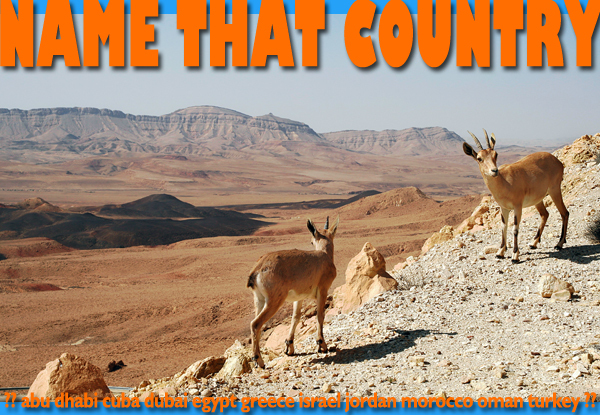 The Ramon Nature Reserve is the country’s largest national park.